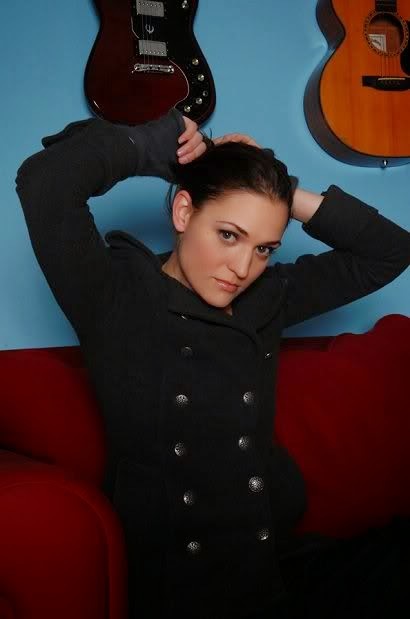 With songs both quirky and endearingly candid, singer/songwriter Amber Rubarth is a refreshing talent on the rise. As illustrated on her third and latest LP, Good Mystery, she complements a gentle, folk/pop vibe with a storyteller’s engagement and the unassuming, often-awkward charm of a girl you wished lived next door. While gearing up for next week’s SXSW Music Festival, where on March 18 she’ll deliver an official showcase performance, Amber Rubarth spoke with Donald Gibson about Good Mystery and her craft overall. How do you take to songwriting? Is it challenging for you? Is there a discipline you have to apply? Most of the songs that are keepers and that I usually like the most tend to be the ones that I write pretty quickly, maybe over two or three days, kind of obsessively. And it’s mostly because I have something that I need to figure out and that’s the only way I know of doing it. [Laughs] But one thing I’ve learned recently from writing with other people is that sometimes it’s good to work a lot on a song and do it out of discipline, to prompt yourself to write a song rather than just waiting for it to come to you. So there are a few I’ve written more like that. On Good Mystery, a song you play on piano, “The Stairway,” is striking. Are you trained on the piano? I’m not trained [but] I’ve played since I was a kid. My brother was taking lessons — he’s a year and a half older than me — and I don’t remember this, but my mom said she just came home one day when I was three and I was playing all the things that he had learned in his lesson. So I played a tiny bit when I was really young like that. And then I didn’t have a piano for a long part of growing up and I started up again in high school, playing on a little keyboard that I had. But I don’t know any of the theory or anything like that. A lot of times — I don’t remember if “The Stairwell” was like this — I’ll wake up and have an entire thing in my head that’s all [on] piano. And I had this as a kid also where I’d have an entire song in my head and I remember being really angry because I couldn’t actually play it. So now I’m trying to learn more piano and study it a little bit better or at least practice it a little more. “Wish We’d Gotten Drunk” is an adorable song, by the way. You’ve been quoted as saying that, growing up, you were very shy. How do you reconcile that as a live performer? For some reason, I feel shy when I’m about to go on stage; I feel shy after the show is over. But somehow, when I’m on stage, “shy” doesn’t even feel like something that would enter my head. Not that I feel not shy, but it feels like that emotion doesn’t belong with playing music. Having written songs for a few years now, can you discern a difference now from how you wrote three or four years ago? When I first started writing, my thing was writing about wanting to do what I really loved doing, almost motivational songs, which helped me in some ways to actually do it. I think my style now is not always [as] straightforward. That’s one thing I’ve started playing with a bit that I never did before. Before it was about trying to find something really, really honest that I could say in a song that I might not be able to say in person to somebody, whether from shyness or just being scared. But now I really like — I think maybe this is something I probably got from listening to Randy Newman, which is a new thing for me; or also reading Mark Twain — the idea of an unreliable narrator. You mentioned that — more so when you were younger — you wrote songs to get certain things out of your system or to say things you felt needed saying. What keeps you going as a songwriter now? It’s probably healthy for you, maybe not for them. Who knows? [Laughs] A lot of times when I’m thinking about something, I hear music with it. Even if it’s something where I’m trying to figure something out, like I’ll come up with a line and have a melody to the line. Or I’ll just come up with music to fit the mood that I’m feeling. I guess that’s just happening in my head anyways. 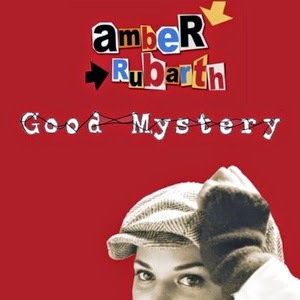 For more information on Amber Rubarth, please visit the artist’s official website.